It could be argued that the majority of Ralph Bakshi’s career encompasses the phrase ‘Brilliant Failure’, with his offbeat adult animations rarely reaching their true potential yet still remaining interesting enough to captivate a more forgiving and liberal audience. Bakshi’s ambitious adaptation of J.R.R. Tolkien’s The Lord of the Rings still stands out as his most impressive film, even if the combination of a mixed critical reception and a nervous studio meant that a sequel was never greenlit, and to this day his vision of Middle Earth is frustratingly left only half complete. 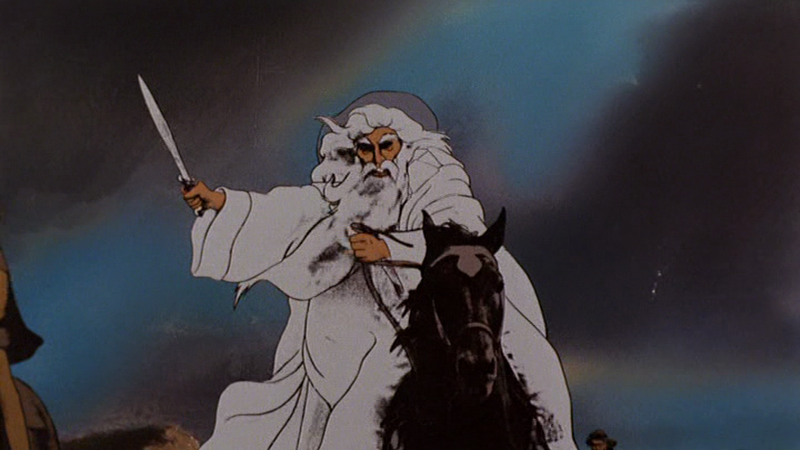 Back in 1978 The Lord of the Rings broke new ground, being the first feature length animation made almost entirely using a form known as rotoscoping, which involves filming live actors and then painstakingly tracing over each frame to provide the characters with more realistic features and movements than standard animation, as well as adding a surreal quality to proceedings. 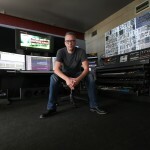 Walt Disney was something of a pioneer when it came to rotoscoping, with Snow White and the Seven Dwarfs & Fantasia paving the way, but Baskhi’s ambitious undertaking eventually proved that this style of animation could work on a grander scale that continues to be used in films today such as Richard Linklater’s Waking Life and A Scanner Darkly, and Satoshi Kon’s Paprika. 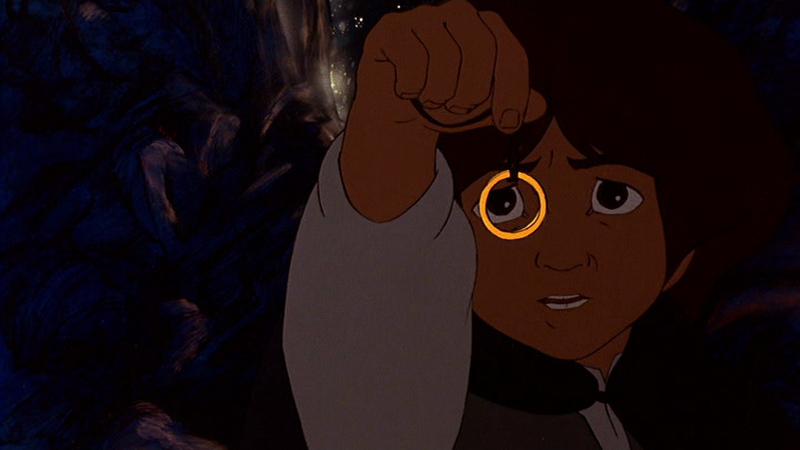 Since Peter Jackson completed his adaptation of the classic fantasy novels with his live-action trilogy, Bakshi’s version is seen as vastly inferior and understandably so when you consider viewers whose first encounter with Tolkien’s world is the grandiose of Jackson’s adaptation, but it still remains an enthralling alternative to those seeking further adventures in Middle Earth. 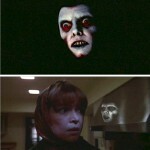 Directors of contemporary live-action films are unhindered by the limitations of special effects that would have been imposed on film-makers during 1970s, and before the days of CGI the choice to use rotoscoping to present Tolkien’s work was a bold move that should have certified Bakshi’s rise to become a prominent director in the field of animation. Impressive in its scale and ambition but ultimately failing to live up to expectations, The Lord of the Rings left audiences frustrated when they realised it was not a complete story. 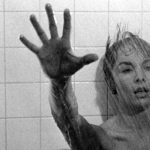 The film was not initially marketed as the first part of a series but a standalone outing, and this disappointed a large portion of viewers who felt that it ended abruptly, and without a satisfactory resolution. 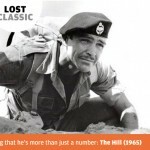 However, it was not Bakshi who was to blame for this but the studio, who feared audiences would not be willing to take a chance on an incomplete story in an era before it had become commonplace for films to be released in separate parts. A stirring score, both epic in scope and perfectly suited to the fantasy realm of Tolkien’s creation, escalates Bakshi’s film by heightening the tension and rousing viewers to empathise with the plight of the hobbits as they embark on a journey fraught with peril. 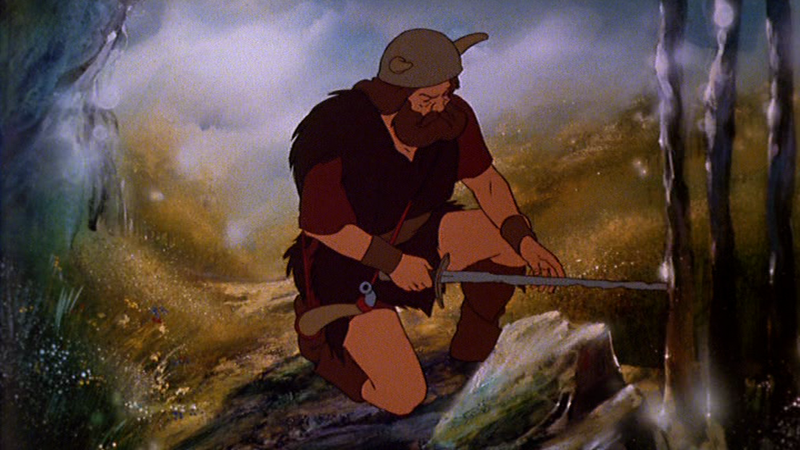 Those familiar with Tolkien’s work will be aware of the many songs that litter his text, and it is encouraging to see a number of verses regaled by Frodo during his stay in a tavern, emphasising Bakshi’s desire to stay true to the tone of the novel where possible, whilst still injecting a number of his own ideas where fitting. A voice cast including such luminaries as John Hurt and Anthony Daniels bring the animation to life, with Peter Woodthorpe’s turn as Gollum clearly acting as a reference point for the creation of Andy Serkis’ demented performance in Jackson’s trilogy. 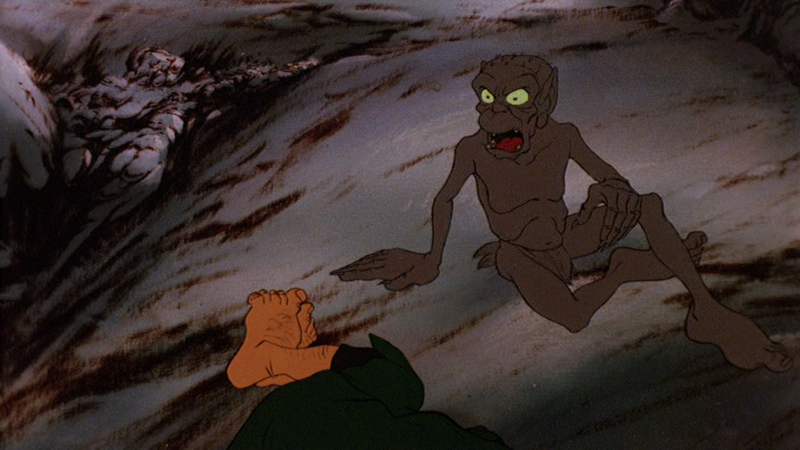 The cartoon violence belies a sinister edge that provides the film with a mature tone, particularly with the depiction of the ring wraiths which torment the hobbits on their journey to Rivendell, and whilst it surprisingly garnered a PG rating, there is no doubt that younger views would be horrified by certain scenes. It is almost heartbreaking to watch The Lord of the Rings knowing that the film passes no further than the battle of Helm’s deep, and with the knowledge that Bakshi’s version of the story is destined to remain incomplete, but there is an indescribable charm and heart to this adaptation that keeps me regularly returning to it. The Lord of the Rings is undoubtedly a failure, although not for a lack of artistry or ambition, and its flashes of brilliance should be clear to all those willing to take a risk on a magnificent but sadly unfinished opus.